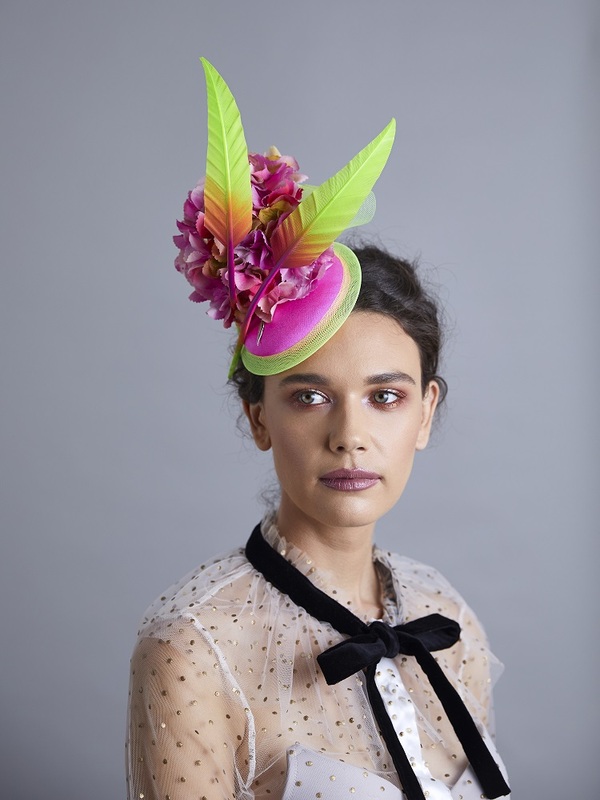 A bright eyecatching headpiece, with a hydrangea flower and two tone arrowheads. A fun headpiece, that can be worn to all formal occasion throughout the year. Will look great teamed with black or ivory.